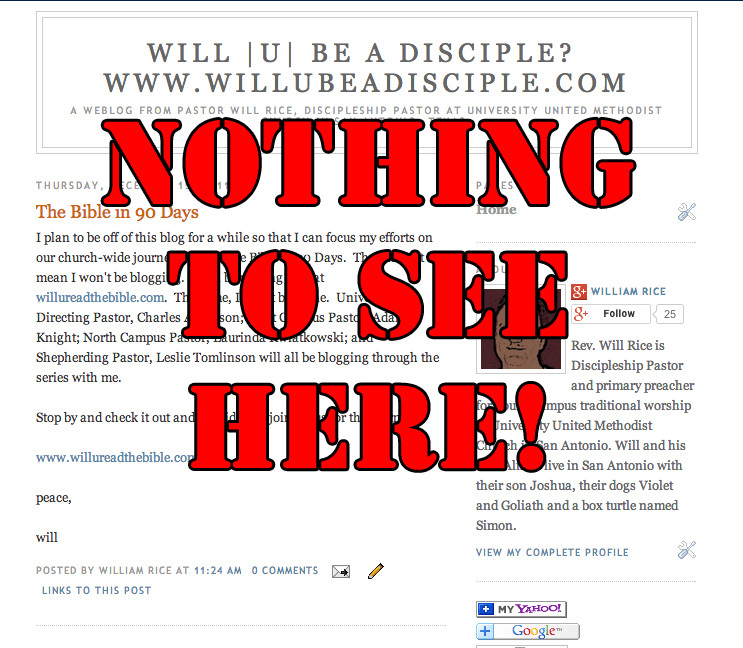 My weblog: willubeadisciple.com has been declared officially dead. Sadly, it took me a year to notice. The one thing I miss though is not having a place to put stuff that doesn’t fit anywhere else. There are lots of things I think about and come across that don’t fit in sermons, are too long for tweets and would bore most of my friends on Facebook. Now they have a home. Enjoy, if you like. If not, at least I will know where my stuff is.